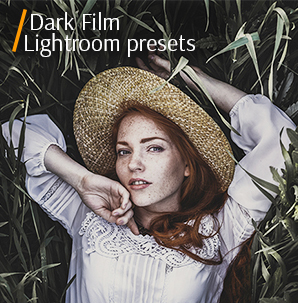 If your summer and spring photos lack brightness and color, use one of the flower overlays presented in this set for creative photographers and photo retouchers. 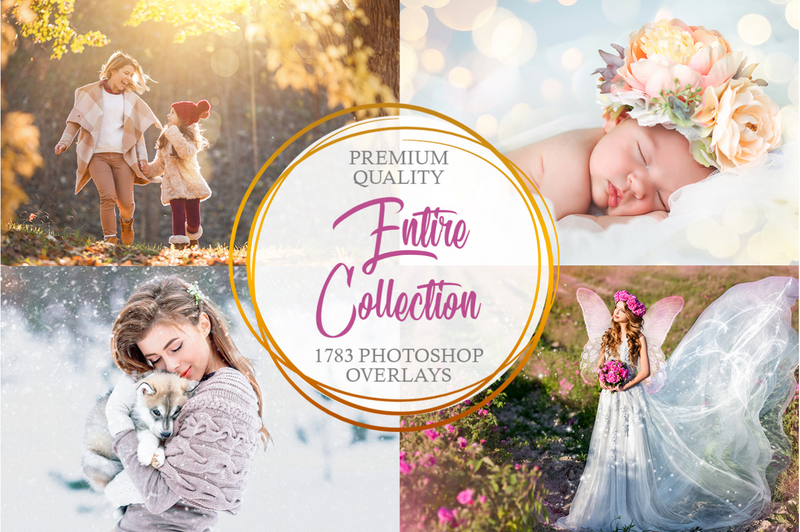 10 Free Photoshop overlays help contribute to creating a tender and beautiful image in several clicks. Finally, you are not just getting an attractive realistic result, but also save lots of time. 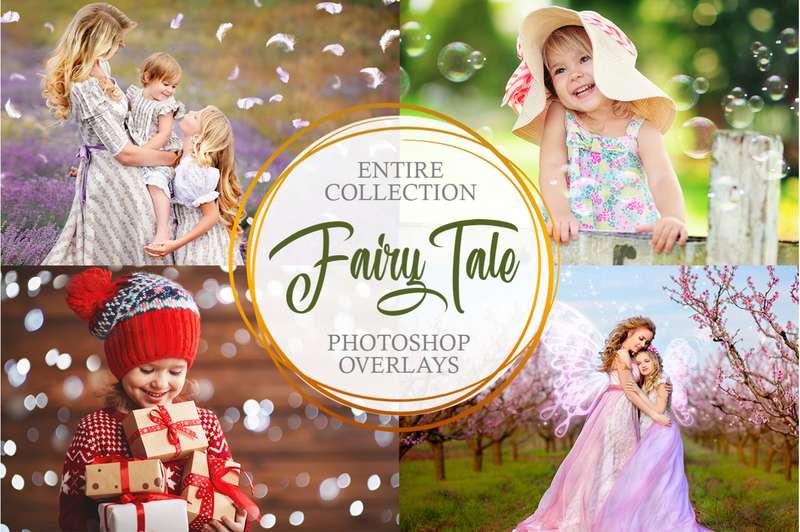 You can use this kind of Ps overlays for newborn, family, weddings, portrait photos to add a fairytale mood. This is not the full number of photographic genres to work with the following flower overlays. You will surely find an overlay you like and that suits your image because there are 10 universal and different flower overlays for Photoshop in the set: different blossoms, colors, the location, and volume. 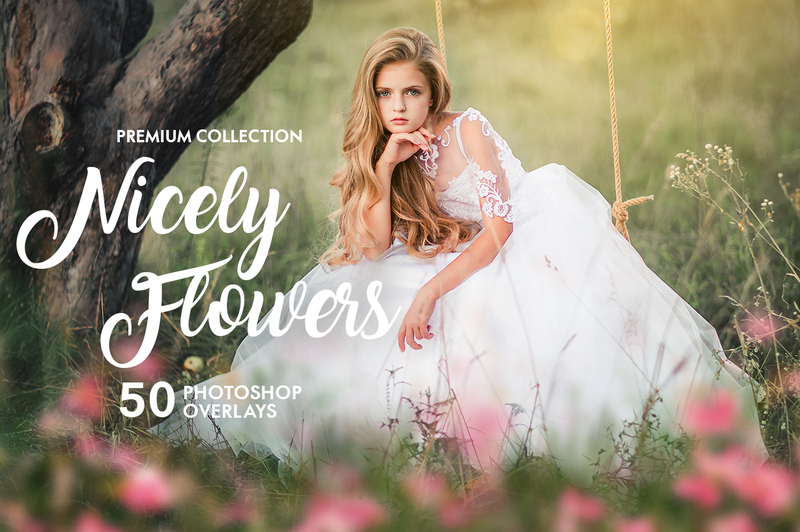 Include fairy spring atmosphere to your pictures with our charming flower overlay bundle. With 10 adorable floral and leafy overlays, we made it easy to take incredible shots and add this extra special effect fast. PS Overlay #1 "Green Lawn"
PS Overlay #2 "Blossom Illusion"
PS Overlay #3 "Spring Shades"
PS Overlay #5 "Sweet Flowers"
PS Overlay #6 "Sunny Delight"
PS Overlay #7 "Gentle Blossom"
PS Overlay #8 "Sweet Bloom"
PS Overlay #10 "Colorful Nature"
If you want to have a baby or portrait photo framed by branches and flowers, these Photoshop overlays are what you need. The shots with a flower frame create a deep and awesome look, but you cannot select the best greenery or flowers every time to perform your idea well. If you wish to generate your the special environment or maybe apply a few color shades to your pictures, our flower overlays are the best way out. Save your time and minimize worries by concentrating your imagination on the main idea of your picture – a model. It makes your shooting more enjoyable if you know that the shrubs or a flowering branch will be added later using our flower overlays. It sometimes difficult to add the floral frame naturally. It may be a challenge for amateurs or beginning photographers. We are aimed here to help you generate nice, fancy pictures with our flowers overlays, no matter what photo retouching skills you have because working with our Photoshop overlays is easy even for young photo retouchers. 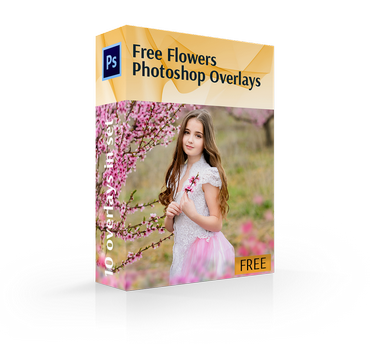 These flower overlays Photoshop give you a chance to make dreamlike pictures in several clicks. Photoshop is frightening enough, but we prefer to help you feel more confident with this photo editing software with our flower overlay bundle. Photoshop Flower Overlay #1 "Green Lawn"
We advise to apply it to the pictures with the lawn or green grass. This overlay #1 was taken from "Nicely Flower"
The Photoshop flower overlay makes the picture full of bright summer colors, enhances it by the vivid and saturated effects. It helps compose a shining and atmospheric image taken outdoors. Photoshop Flowers Overlay #2 "Blossom Illusion"
Use it if you need to blur the background and focus on the main subject – the models. This overlay #2 was taken from "Nicely Flower"
Using this flower overlay will help generate a romantic mood, bring back amazing memories and concentrate on the models. 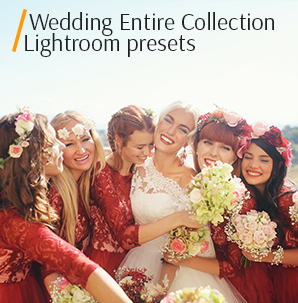 Highly recommended for wedding or couple photographs. Flower Overlay #3 "Spring Shades"
Better fits spring and summer photos. This overlay #3 was taken from "Nicely Flower"
The flower overlay is perfect for any lifestyle image. It gives bright green tints to the shot. Photographers usually use it for baby photographs taken outdoors in the playground or garden. Free Flowers Overlay Photoshop #4 "Floral"
It is indispensable on wedding and engagement shots to emphasize the couple. This overlay #4 was taken from "Nicely Flower"
The flowers overlay creates impressive and memorable photographs in several clicks. It emphasizes the subject’s tenderness and romantic nature. Flower Photoshop Overlay #5 "Sweet Flowers"
Use this flower overlay Photoshop to create a sweet and cute image. This overlay #5 was taken from "Nicely Flower"
Using these flower overlays you beautify the entire look of nature, enhance your initial flowers effect, and make the picture appealing. Flower Overlay Photoshop #6 "Sunny Delight"
It is perfect for the pictures taken in bright sunlight. You can also add sun flare overlays too. This overlay #6 was taken from "Nicely Flower"
It adds a floral climate to your images. 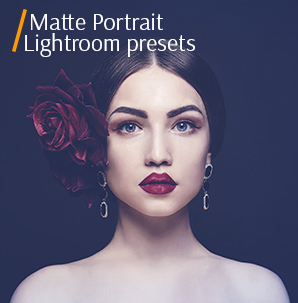 Use the flower overlay and make your pictures more dynamic and deep. Highly recommended to use on the photos taken during the Golden Hour. Flowers Overlay #7 "Gentle Blossom"
The Photoshop flower overlay looks beautiful and impressive on the photo with a light monophonic tone. This overlay #7 was taken from "Nicely Flower"
It is a handy Photoshop plugin to add some greenery and branches to improve the visual effect of the floral frame. Flowers Overlay Photoshop #8 "Sweet Bloom"
You can apply these flower overlays not only while editing pictures, but when designing business cards, invitations, and other printed templates. This overlay #8 was taken from "Nicely Flower"
Makes the shot brighter and creates a flowery atmosphere by putting sweet floral on the photo’s edges. Combine this Photoshop overlays with vintage and matte photo effects. Free Flowers Overlay #9 "Greenery"
Try to pick up the photos with the related spring views with lots of greenery and plants. This overlay #9 was taken from "Nicely Flower"
It is applied to reveal the true nature’s colors and add some fancy shades to your photos. Flowers Photoshop Overlay #10 "Colorful Nature"
It is good for family pictures and children's portraits taken in nature. This overlay #10 was taken from "Nicely Flower"
These flower overlays generate the great framing effect by applying the stunning blossom and saturated tints of green color.